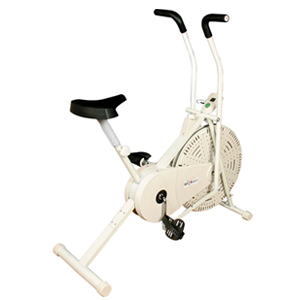 Air bike Manufacturer with Dual action design to work on toning arms & legs. The heavy frame work with electronic meter displays time, distance. Cooling fanwheel that cools the users while working out.